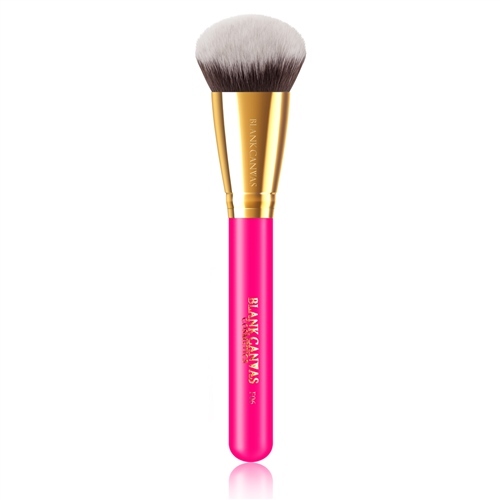 The F06 is a multi-purpose face brush from our Dimensions Series. Handmade from extra soft, high quality anti-bacterial, easy to clean synthetic fibres, this brush is also vegan friendly. This brush is made from sloped, high-quality dense synthetic fibres. The F06 is a multi-purpose face brush from the Dimensions series. This brush can be used to apply foundation, blush and contour by buffing products on first and then blending in a stippling motion. This brush is best used with cream, powder, mousse or gel products.